In this whitepaper, discover the benefits of expanding your analytics toolkit. 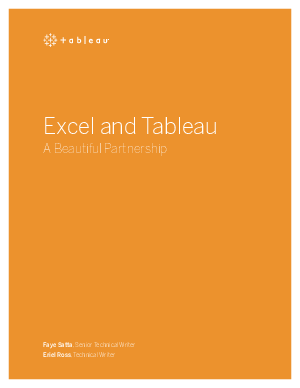 Combine Excel’s data collection and management capabilities with Tableau’s intuitive, analytical power to transform your raw data into actionable insights. Focus on the questions that take your data beyond the spreadsheet. Read more at about this partnership.